A firewall is a part of a computer system or network that is designed to block unauthorized access while allowing authorized communications. The Windows 8/8.1 and 10 operating system has a built-in firewall that provides security by limiting or preventing unauthorized access to your computer from the Internet. Sometimes a software firewall conflicts with the built-in hardware firewall of the Linksys router; which is why there are instances when you have to disable it. 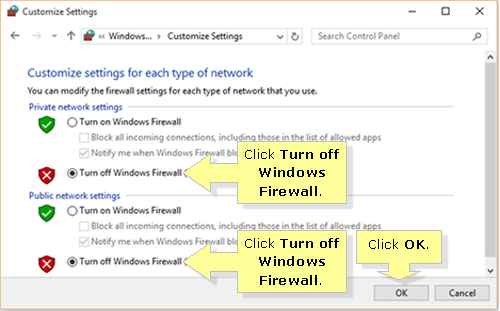 NOTE: Disabling the Windows Firewall should only be done temporarily to allow downloads or hardware installation on your computer. 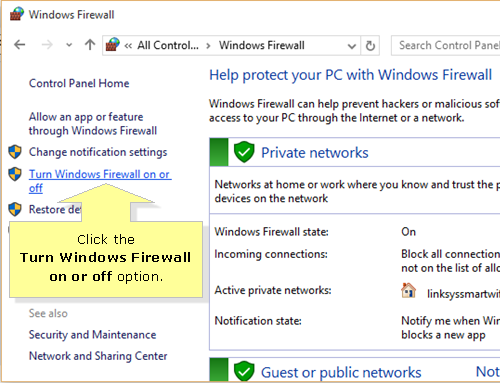 Changes within the network may require you to re-enable Windows Firewall for your computer’s protection. 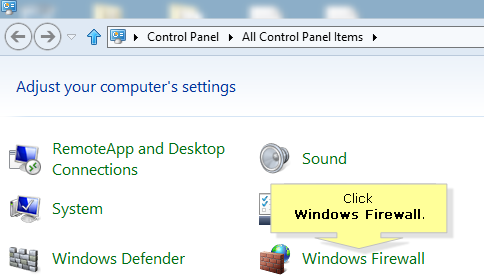 Press the Windows key on your keyboard and then type “control panel”. QUICK TIP: You can right-click on the Start button and select Control Panel. 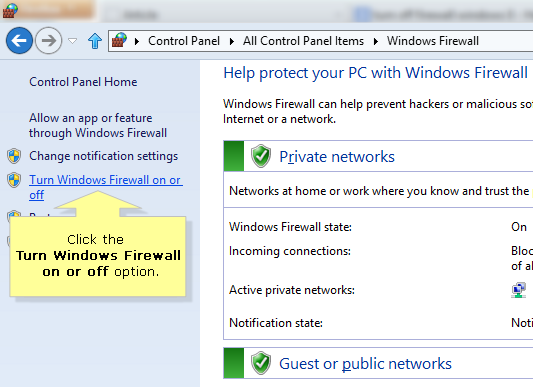 Click the Turn Windows Firewall on or off option. 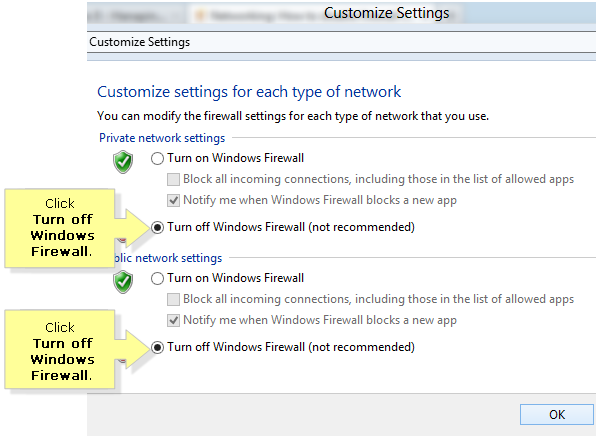 On the Customize Settings window, click the Turn off Windows Firewall radio buttons both under the Private network settings and Public network settings. Click OK. Your Windows 10 operating system’s built-in firewall should now be disabled. Your Windows 8 or 8.1 operating system’s built-in firewall should now be disabled.